Following this you will be asked two questions from the Show Me, Tell Me question bank. Fail to answer either question correctly and you will score one minor fault. 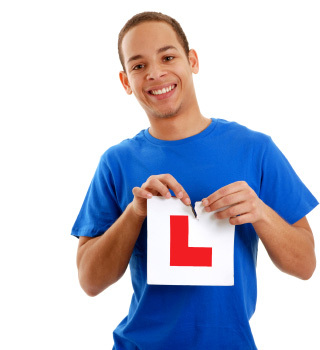 You can make up to 15 driving faults and still pass the test (16 or more results in failure). However, if you commit a serious or dangerous fault you will fail the test. For about 20 minutes, half of the test, you will be asked to follow directions from a sat nav. This will be set up by the examiner, one in five driving tests won't use a sat nav you will follow road signs instead. The examiner may show you a diagram to help you understand where you'll be going. It doesn't matter if you don't remember every direction, or if you go the wrong way. From December 2017 the practical driving test will follow a new format. The changes are listed below. 1. Independent driving part of the test will increase to 20 minutes The independent driving part of the test currently lasts around 10 minutes. During this part of the test, you have to drive without turn-by-turn directions from the driving examiner. This part of the test will be made longer, so it’ll last around 20 minutes - roughly half of the test. 2. Following directions from a sat nav During the independent driving part of the test, most candidates will be asked to follow directions from a sat nav. The examiner will provide the sat nav (a TomTom Start 52) and set it up. You won’t need to set the route - the examiner will do this for you. So, it doesn’t matter what make or model of sat nav you practise with. You can’t follow directions from your own sat nav during the test - you have to use the one supplied by the examiner. You’ll be able to ask the examiner for confirmation of where you’re going if you’re not sure. It won’t matter if you go the wrong way unless you make a fault while doing it. One in 5 driving tests won’t use a sat nav. You’ll need to follow traffic signs instead. 3. Reversing manoeuvres will be changed The ‘reverse around a corner’ and ‘turn-in-the-road’ manoeuvres will no longer be tested, but you should still be taught them by your instructor. You’ll be asked to do one of 3 possible reversing manoeuvres: parallel park at the side of the road park in a bay - either driving in and reversing out, or reversing in and driving out (the examiner will tell you which you have to do) pull up on the right-hand side of the road, reverse for 2 car lengths and rejoin the traffic.